CARFAX One-Owner. Clean CARFAX. 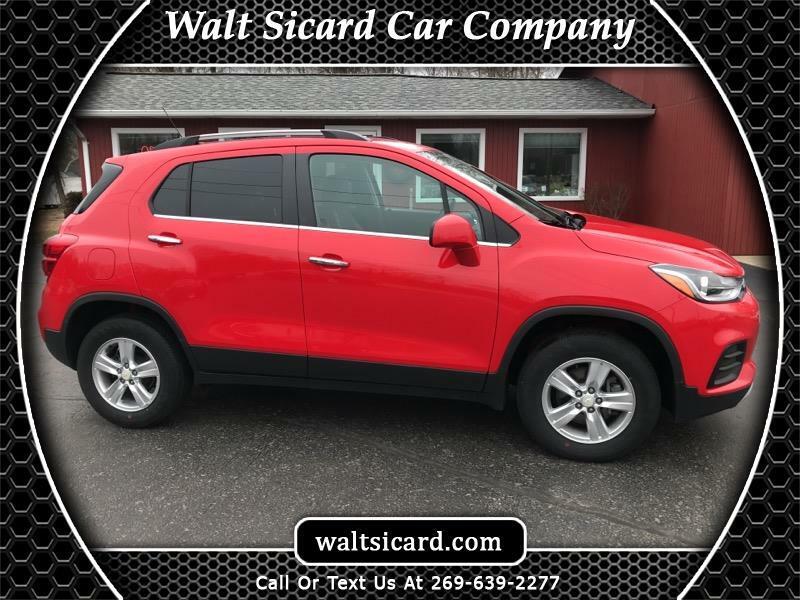 Silver Ice Metallic 2017 Chevrolet Trax LT AWD 6-Speed Automatic ECOTEC 1.4L I4 SMPI DOHC Turbocharged VVT 2017 Chevrolet Trax LT in Silver Ice Metallic, Sought After Options Include, **STILL UNDER FACTORY WARRANTY**, ** FULLY SERVICED **, ** NON SMOKER **, **APPLE CAR PLAY**, 2 Spare Keys Key System, 3-Spoke Leather-Wrapped Steering Wheel, 6-Way Power Driver Seat Adjuster, All-Wheel Drive Chassis, Body-Color Door Handles w/Chrome Accent, Deluxe Cloth/Leatherette Seat Trim, Exterior Parking Camera Rear, Keyless Open, Keyless Start, LT Convenience Package, Preferred Equipment Group 1LT.